and 7 interesting facts that you probably didn’t know about her. Let’s start with technical Balmoral Cruise ship details. The vessel has a tonnage of 43,537 GRT and a capacity of 1,350 guests and 510 crew members. Flash forward: the same characteristics at the time of her construction were significantly different. However, we’ll talk about this a bit later. Balmoral has 9 passenger decks with 710 staterooms, 6 restaurants, 2 show lounges, 2 swimming pools, shops, the Library, Card Room, and other facilities (you can find them on MV Balmoral deck plans via this link). As for the vessel’s accommodation, you can choose from 21 categories of staterooms, including options for single travelers and luxury Suites. Most cabins are Oceanview (340). 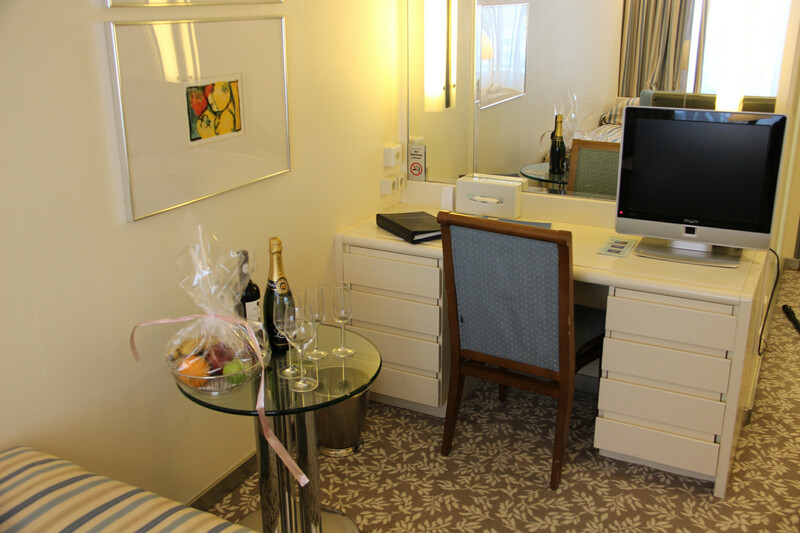 Besides, 9 of the ship’s staterooms are wheelchair accessible. Do you also have this feeling that you’ve just gone back in time for a couple of decades? Nevertheless, the liner offers many modern onboard attractions like a well-equipped fitness center, spa center, etc. Yet she has an incredibly intimate atmosphere inherent of the cruise ships of the last century. Well, now let’s check several interesting facts about our heroine. 1. Initially, the cruise world greeted her as Crown Odyssey (in 1988). Next year, Norwegian Cruise Line purchased Royal Cruise Line (the ship's original owner). 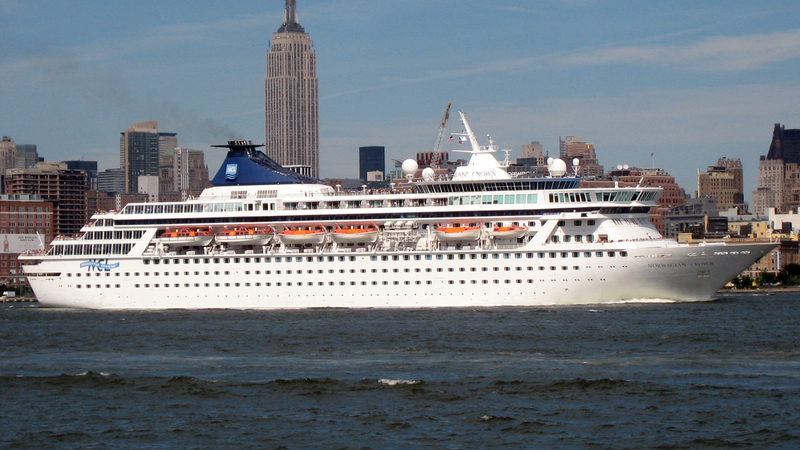 After the reorganization in 1996, Crown Odyssey received the name of Norwegian Crown and remained in the NCL’s fleet. 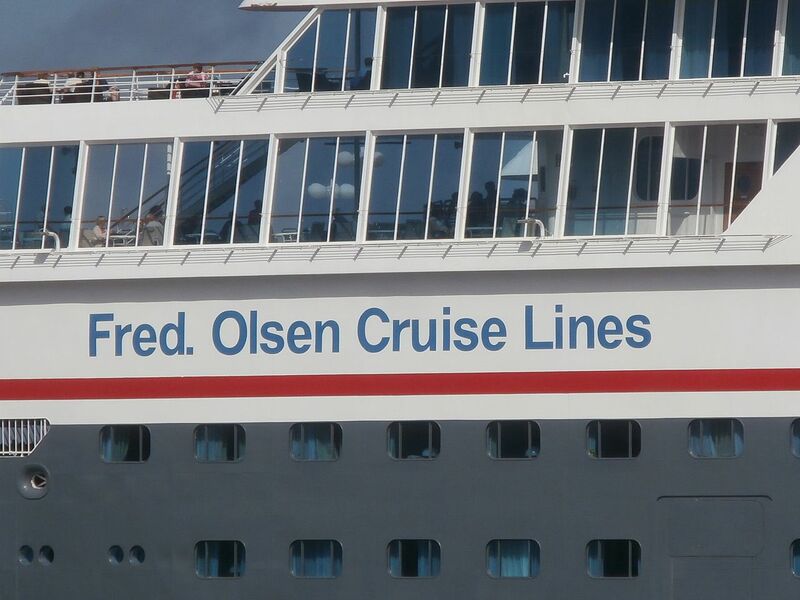 However, already in 2000, the ship got back her original name and joined Orient Lines, which was purchased by NCL. Three years later, after the refurbishment, she became a part of NCL again. Can you guess her next name? Yes, she was named Norwegian Crown. 2. 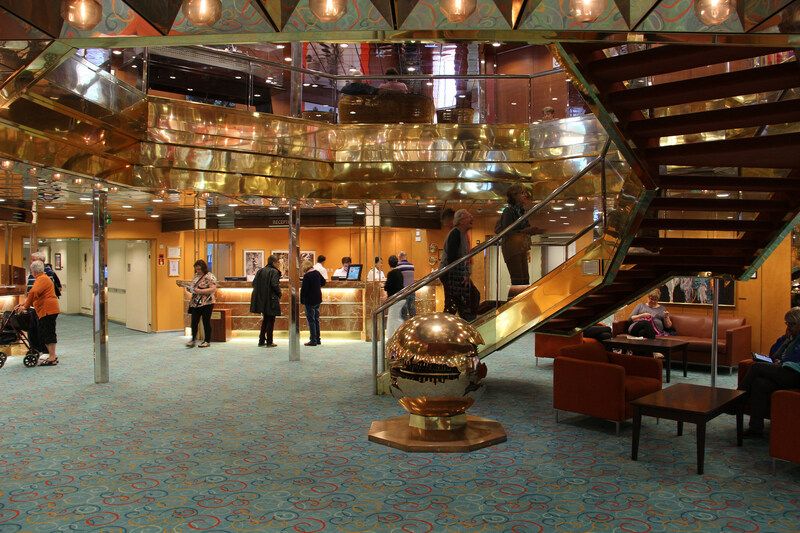 Before she departed on her inaugural cruise under the new owner’s flag, the ship underwent an extensive renovation. She was cut in half and added a 99 ft (30 m) long midsection. As a result, her tonnage increased from 34,242 to 43,537 GRT, and the Balmoral ship capacity (maximum) changed from 1230 to 1780 travelers (that’s what we mentioned at the beginning of our story). The vessel got 186 new cabins and many public venues. We invite you to watch a video of this exciting process. 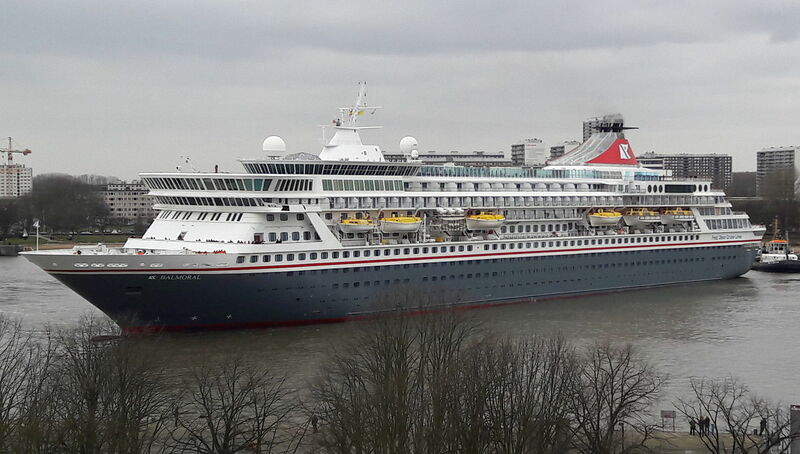 It’s interesting to know that two of the Balmoral’s fleetmates, MV Boudicca and MS Braemar, were also extended. By the way, you can check other exciting stories of cruise liners that were cut in half via this link. 3. As you can see, the vessel entered drydock as Norwegian Crown and left it as MV Balmoral. She was renamed after the Balmoral estate in Scotland. The Scottish theme is present in her main restaurants. 4. On January 21, 2009, MV Balmoral got caught in a storm in the Bay of Biscay. 2 travelers were seriously injured and were hospitalized. BTW, you can check several more videos of cruise ships caught in a storm here. 5. Unfortunately, that wasn’t the only difficult situation which Balmoral faced in her career. In less than two months, the vessel was attacked by Somali pirates. On March 3, 2009, the ship that was on her World Cruise noticed two small vessels that were approaching Balmoral at high speed. This happened in the Gulf of Aden off the coast of Somalia. The bandits were armed with rocket launchers, and the vessel came under fire four times. The attack was averted by the U.S. Navy ship. She escorted Balmoral through the Gulf of Aden, and the cruise ship continued her sailing. No one was injured. 6. In 2012, Balmoral took perhaps the most important sailing in her career as of today. Of course, we believe she has many exciting adventures ahead. However, this one was truly one-of-a-kind. On April 15, 2012, the ship held mass and ceremoniously remembered the dead on the wreck site. 7. In February 2017, our heroine took another unique sailing – 46-night Mardi Gras Cruise. The adults-only themed sailing started on February 4, 2017 in Southampton and called at 18 ports in Caribbean, North and Central America. Passengers spent 2 nights in New Orleans to take part in exciting annual festivities dedicated to Mardi Gras. Balmoral is the ship with a long and eventful history, and we are sure she’ll continue to surprise cruise lovers and take many unforgettable cruises in the future. 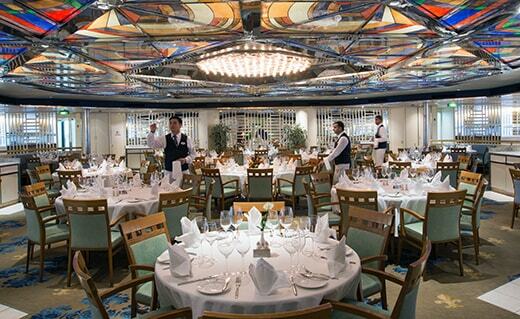 Have you ever sailed on this beautiful cruise ship? Please share your impressions with our cruise community.